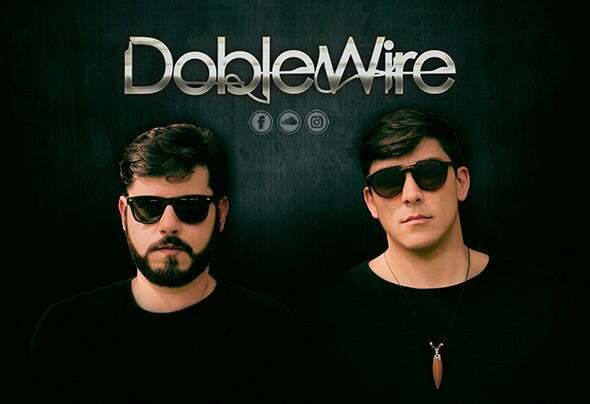 Considered one of the great promises of today, DobleWire is a Tech House project that brings two of the most experienced Djs and producers of Ribeirão Preto, Murilo Mendes and Maikon Knight!Murilo Mendes started his career from 2008 in trance and in 2014 when he was living in Canada, he started playing Tech House and Techno in Vancouver, performing alongside big names in the North American scene as Siavash, James Hopkins, Marcello, Derrick Vnuk, D-Unity and Erik Louis, where he had the opportunity to play one of the greatest after hours in the world called "Gorg- o-mish". 2016 had his first tour in Mexico where he played in some ballads in the city of Guadalajara, today coming with a very large baggage of parties both in gringa and in Brazil.Already Maikon Knight, is a great known of the public of the state of São Paulo and Minas Gerais, by its set invariably bombastic and impressive. The producer stands out in the musical environment, being known as one of the best Djs of Ribeirão Preto, an attraction confirmed for 8 years in Soulvision and festivals and festivals like Samsara, Native, Impulse, Mandallah, Tertrance among countless others.And this is how a project with a brilliant way is shaped, bringing together the experience of two great producers and bringing to the public elaborate and conceptual productions that promise to evolve the electronic music scene a lot and bring a little of that future in their cases in their presentations!